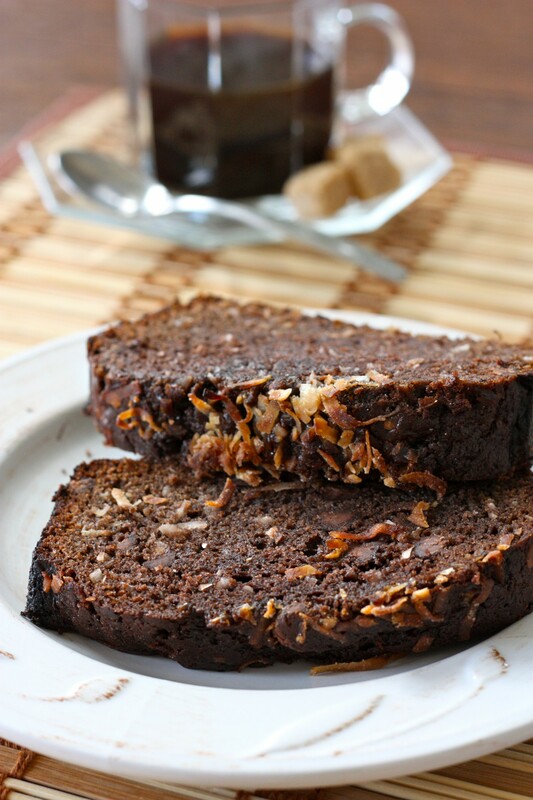 This is a decadent dessert bread that’s moist and full of chocolate and coconut. Chocolate pudding, cocoa powder and chocolate chips combine to make this bread a chocolate sensation! Packaged or fresh shredded coconut should be refrigerated once opened. Not sure what to do with the extra coconut? It pairs well with apricots, bananas, chocolate, nuts, oranges, and pineapples! Chocolate pudding, cocoa powder and chocolate chips combine to make this Triple Chocolate Coconut Amish Friendship Bread a decadent, classy dessert. Grease two large loaf pans and dust with sugar if desired. Add ingredients into mixing bowl and combine until moistened. Pour the batter evenly into the pans and sprinkle coconut on the top. MMM…this reminds me of my favorite Chocolate Wafer cookie my Aunt always made…love Chocolate and Coconut! Only thing missing is walnuts! Can’t wait to try this recipe! I made this time before last, but without the cocoa – excellent! Went over really well! I’m looking forward to baking this for my wife. She loves chocolate and coconut! Ooops..I was supposed to mention two people. My mom also loves the combination of chocolate and coconut, so she’ll be getting a loaf, too. I would make this recipe by my husband and mom.